Flaunting a classy mix of concrete and wooden elements, this family home truly is a charmer. 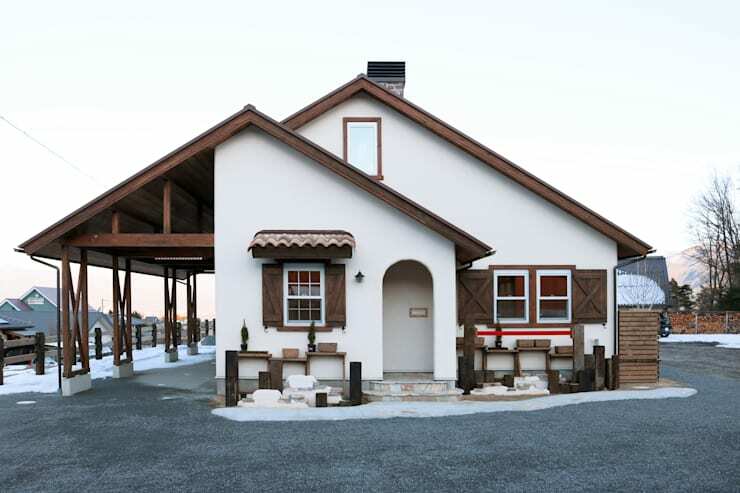 And while it exudes that distinct French countryside charm, this house is located in Japan and is actually the work of Japanese construction company Art Cafe. Adding to its cozy and comfortable interior, this property's island location offers a view of the surrounding mountains and forests, providing its dwellers that all-too-important connection with nature. Intrigued? 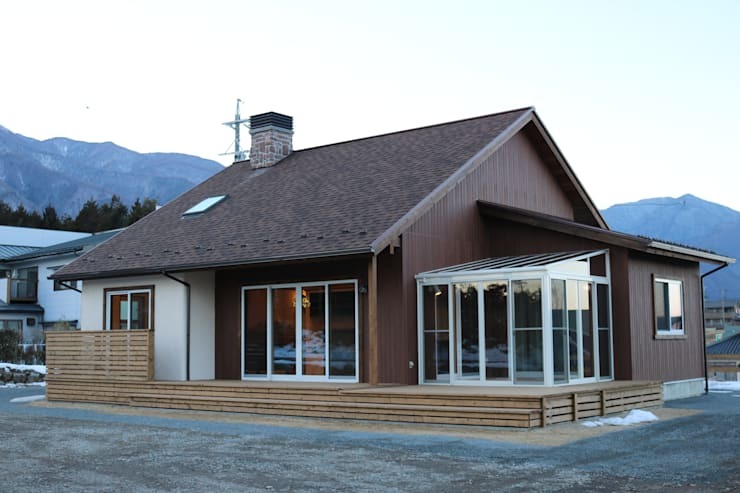 Let's take a virtual tour of this exceptional project. 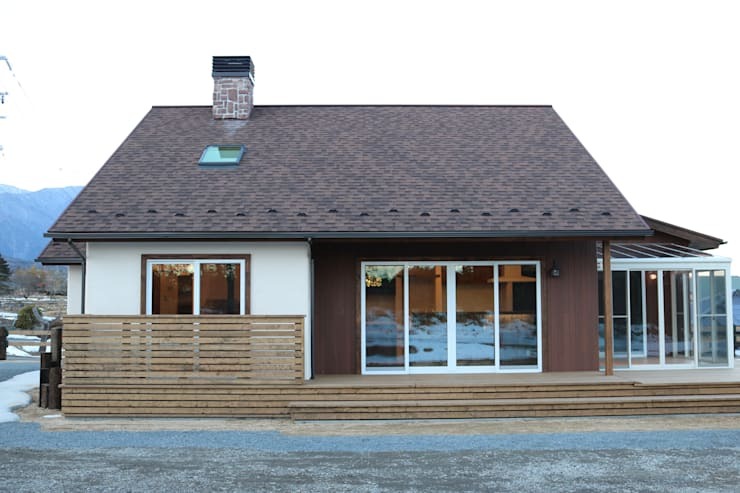 You can never go wrong with the classic combination of a gable roof, wooden shutters, hints of brick, and white-and-brown palette. Though more on the traditional side, the home exhibits a touch of modernity with its asymmetrical facade. Inside, a spacious cooking, dining and living area beckon. Thanks to its large windows, which occupies almost the entire length of the wall, this room offers enough natural light for the day. 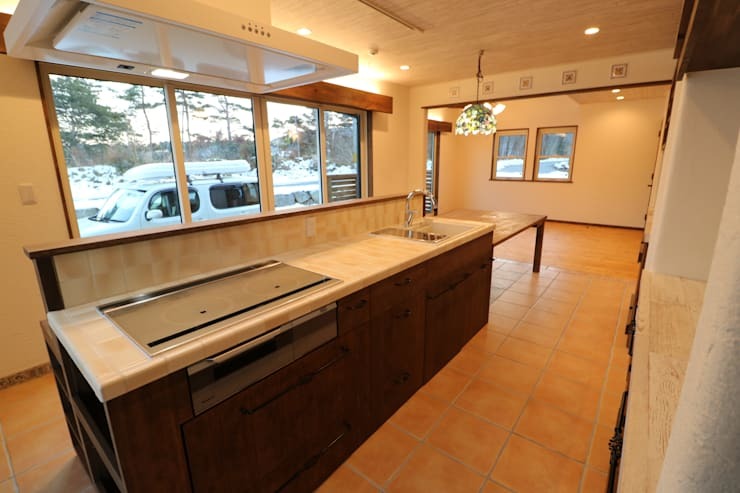 The cooking area consists of a long kitchen lined with dark wood paneling and a working stone of light stone. The experts made sure that the kitchen is high on functionality to meet the requirements of more ambitious cooks. The bathroom is the epitome of chic, countryside charm. Decorated with wooden pieces of furniture and light brown tiles, this room is additionally provided with many small details. 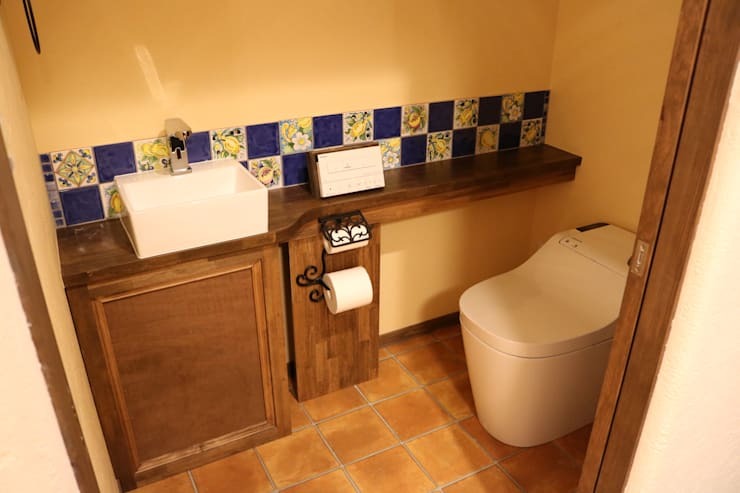 The blue-yellow tiles give the room a very rustic finish, which is reinforced by cast-iron accessories like the playful toilet paper holder. To the side of the home is a covered terrace, which serves a garage, as well as an area for gatherings. We love the use of dark wood, giving it that coziness you always want to come home to. 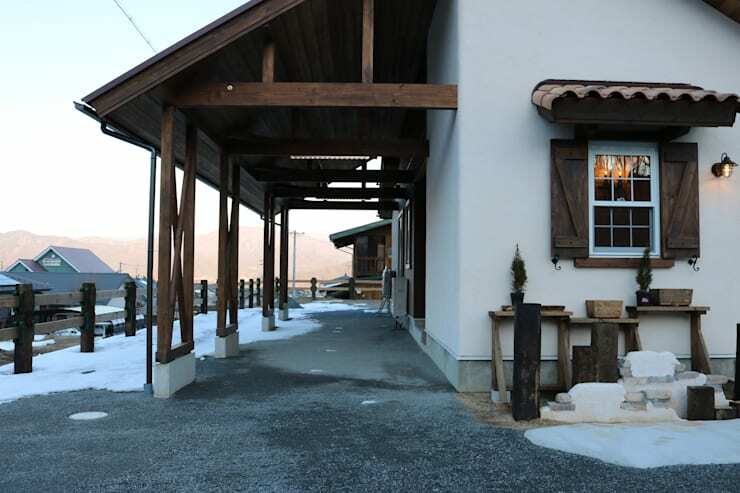 As an extra treat, the interior offers a spectacular view of the nearby mountain landscape. Did you love this home as much as we did? Then you'll love our article on a charming and cozy home in the suburbs, too! Did you love this home as much as we did?